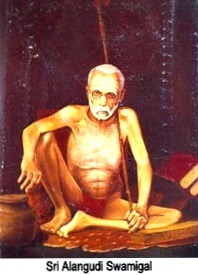 Sri Swayamprakasananda Saraswathi Swamigal Alias Sri Alangudi Swamigal was born in 1862 at Alangudi Village near Mudikondan. His name was Ramakrishna Sharma in Poorvasrama. He mastered in Sanskrit language, Vedas, Sastras etc. by undergoing Gurukulam. He got Liberated from Worldly and Material life. Started touring the entire Country including Benares, Gaya, Alahabad in North, entire Kerala, Tamilnadu, Rameswaram and other places. He was initiated to Sanyasa Asramam by Sri Panangudi Swamigal at Mahadhanapuram (Trichy Dist) Whose Samadhi is at Pazhayavalam, started touring as Avadootha. Gargacharya was the family priest of the Yadavas. He came to Vraja, Nanda’s Gokula, one day at the request of Vasudeva. Nanda duly received him and said, “You are versed in the Vedas. The science of astrology has been propounded by you. Please perform the naming ceremony of these two boys.” Garga replied, “I am known as the priest of the Yadavas. If I conduct the naming ceremony of your son, Kamsa might suspect your son to be the eighth son of Devaki.” Nanda promised strict privacy. Garga performed the ceremony in a quiet and unfrequented place. ஏ அபிராமியே! நீயே உலக நாயகி. பிரம்ம சக்தியும், விஷ்ணு சக்தியும் நீ. நீயே ஒய்யாரமாக ஐவகை மலர் அம்புகளைக் கையிலேந்தியவள். சம்புசக்தி, சங்கரி, எழிலுடையாள், நாகபாணி, மாலினி, உலகளிக்கும் வராகி, சூலி, மாதங்க முனிமகள் என்றெல்லாம் பல வடிவானவள்! நீயே ஆதியானவள். ஆகவே, உன்னுடைய திருவடியையே வணங்கினோம். அதுவே எமக்குப் பாதுகாவல். Abhirami! you are the chief of gods and you are with four faces. You are the Goddess Narayani and in your graceful Lotus flower-like hand you have five arrows. Sambhavi, Shankari, Shyamalah Devi, you have all these auspicious names and you wear a garland of rich varieties of flowers with poisonous smell. (enough to kill evil people) You are Varahi, Soolini, Maathangi with name and fame. We surrender unto your Lotus-feet and your grace protects us like a fortress. ஒரு ஸ்ராத்த தினத்தன்று விஸ்வாமித்ரரை தனது வீட்டுக்குச் சாப்பிட வருமாறு அழைத்தார் வசிஷ்டர். அதற்கென்ன வந்தால் போச்சு! ஆனால் 1008 வகை கறி செய்து படைக்க வேண்டும் என்றார் விஸ்வாமித்ரர். உலகில் 1008 வகையான காய்கறிகள் உண்டா? அப்படியே இருந்தாலும் இத்தனை கறிகாய்களைச் சமைத்து யாராவது உணவு படைக்க முடியுமா? அப்படியே சமைத்துப் போட்டாலும் அதைச் சாப்பிட யாரால் முடியும்? விஸ்வாமித்ரர் தன்னை வேண்டுமென்றே சிக்கலில் மாட்டிவைக்கவே இப்படிச் செய்கிறார் என்பது வசிஷ்டருக்குத் தெரியாதா என்ன? இருந்த போதிலும் விட்டுக் கொடுக்காமல் , ஓ, 1008 வகை காய்கறிகள் வேண்டுமா? அதற்கென்ன அருந்ததியிடம் சொல்லி விடுகிறேன் என்றார். ஸ்ராத்த நாளும் வந்தது. விஸ்வாமித்திரர் இலையில் அமர்ந்தார். பாகற்காய்கறி, பலாப்பழம், பிரண்டைத் துவையல் மற்றும் எட்டு வகை காய்கறி - ஒரு வாழை இலையில் எவ்வளவு கறிகள் படைக்கமுடியுமோ அவ்வளவுதான் இருந்தன. விஸ்வாமித்திரர் கோபத்துடன் வசிஷ்டரை வினவினார். அவரோ நான்தான் அருந்ததியிடம் சொல்லிவிட்டேனே அவளையே கேட்டுக்கொள்ளுங்கள் என்றார் வசிஷ்டர். இவர்கள் பேச்சைக் கேட்டுக்கொண்டிருந்த அருந்ததி தானே முன் வந்து ஒரு ஸ்லோகத்தைக் கூறினாள். ஒரு ஸ்ராத்த திதியன்று சமைக்கப்படும் சமையலில் பாகற்காய் கறி 100 கறிகளுக்குச் சமம், பிரண்டைத் துவையல் அல்லது கறி 300 கறிகளுக்குச் சமம், பலாப்பழம் 600 கறிகளுக்குச் சமம் என்று பாடல் கூறுகிறது. ஆயிரம் கறிகள் ஆயிற்று. இலையில் எண்ணிப் பாருங்கள், மேலும் எட்டு காய்கறிகள் வைத்திருக்கிறேன். 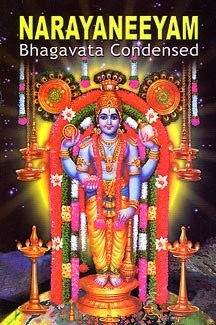 ஆகமொத்தம் 1008 என்றாள். இதுதானே ஸ்ராத்தகால விதி, உங்களுக்குத் தெரிந்திருக்குமே என்றாள். வசிஷ்டர் வாயடைத்துப் போனார். பேசாமல் சாப்பிட்டு வாழ்த்தியும் விட்டுப் போனார். Once Sage Vasistha invited his arch enemy Sage Vishwamitra for a feast on a Śrāddha day. On the day of Śrāddha, the departed souls (one's ancestors, especially deceased parents) are propitiated. Brahmins and saints are fed on the day. The guests are worshiped as the representatives of the departed souls. Sage Vishvamitra promised to participate on one condition. He insisted that he must be served with 1008 curries (side dishes). Sage Vasishta informed his wife Arundhati the condition laid by Sage Vishwamitra. On the day of Śrāddha, Sage Vishwamitra came and sat at the dining hall. But to his disappointment he saw only 10+ curries on the plantain leaf. When he angrily questioned Sage Vasishta, he told him to put the question to Arundhati as she was in charge of the food. Before Sage Vishwamitra questioned her, Arundhati recited a popular sloka (couplet) which made Sage Vishwamitra speechless. She served these three vegetable dishes along with 8 more items on the plantain leaf. So it came to 1008 items. Sage Vishwamitra was happy at the explanation from the chastest woman in the world and blessed her. Oh Guruvayurappa ! Once, Thy mother Yasoda, who was holding Thee on her lap, Thy mother not being able to carry Thee, placed Thee on the bed. she went about her household work, As she did so, she was constantly thinking of Thee and praying for Thy welfare. நரம்பை அடுத்து இசை வடிவாய் நின்ற நாயகியே. நரம்புக் கருவிகளைக் கொண்ட, இசையே வடிவாக உள்ள அபிராமியே! அடியேனாகிய என்னுடைய உடலையும், அதிலே இணைந்த உயிரையும் கொடுமையான எமன் வந்து பறிக்க, நானும் மரணத்திற்கு அஞ்சி வருந்துவேன். அப்பொழுது அரம்பையரும், தேவமகளிரும் சூழ என்னிடத்து வந்து அஞ்சேல் என்பாய்! எனக்கு அருள் புரிவாய்! narambai aduththu isai vadivaay ninra naayagiye! Abhirami! You assume the form of music, flowing from the stringed instruments. You must appear before me, with heavenly beauties Ramba and others when, ‘Kaala' the god of death comes to take my life embedded in my physical body. Cures dumbness, provides power of eloquent speech, gift of poesy. In his previous life Sakatasura was born in the Caksusa Manvantara as the son of Hiranyaksa and was named Utkatca. He had the body of a giant and was extremely powerful. In order to give vent to his strength he would sometimes go to harass Lomasa muni, a great sage by uprooting and scattering the trees near his ashram. One day after doing his mischief Utkatca insolently approached the muni and towering over him sneered contemptuously Infuriated by this arrogant display of defiance Lomasa muni addressed him sternly: "O fool, because your intelligence is diseased you erroneously think that you can vandalize and defile my asrama with impunity considering me a helpless old man and nothing more Because you have so grieviously abused the facility of physical form I curse you to henceforth become a ghost." As a serpent leaves its skin Utkatca immediately vacated his body. As he found himself floating in the ether he became very astonished. With a new found respect and repentant heart he humbly submitted himself at the feet of the sage saying: "O best of the rsis. O ocean of mercy kindly be compassionate to me. Until now I was completely unaware of your potency. I beg you to allow me to enter my body again." குடரும் கொழுவும் குருதியும் தோயும் குரம்பையிலே. ஏ அபிராமியே! 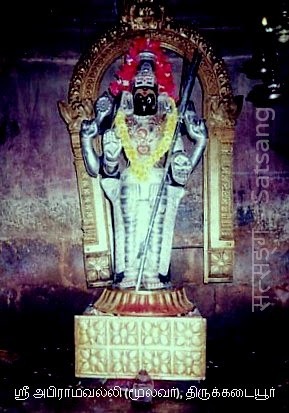 பச்சைப் பரிமளக் கொடி நீயேயாகும். ஒளிரும் இளம் பிறையை, குன்றை ஒத்த சடாமுடியில் அணிந்திருக்கும் சிவபெருமானை இணைந்தவளே! உன்னையே நெஞ்சில் நினைந்து வழிபடும் யோகிகளூம், இமையாது கடுந்தவம் புரியும் ஞானிகளூம் மீண்டும் பிறப்பார்களோ? மாட்டார்கள்! ஏனென்றால் தோலும், குடலும், இரத்தமும், இறைச்சியும் கொண்ட இந்த மானிடப் பிறவியை விரும்பார், ஆதலின்! kudarum kozhuvum kurudhiyum thoyum kurambaiyile. Abhirami is the ever-green creeper, which entwines round the hillock that is Shiva. and this hillock's top (head of Shiva) has tufted-hair and on the tufted hair shines the moon with many rays denoting several arts. Those who keep in their minds such benevolent Abhirami, just for a fraction of a second will not only be saved from obstacles and troubles but also will be blessed with salvation from being born as a physical body composed of flesh and blood, and definitely those who contemplate on Abhirami will be blessed with numerous boons. After listening to the ominous sayings of Vasudeva, the head of the cowherd clan,Nanda, was hurrying home with a heart full of apprehension. As he neared his house,he saw a huge apparition lying on the ground, with uprooted trees, fallen all round it.Fearing the worst, he took refuge in Thee. சூழும் சுடர்க்கு நடுவே கிடந்து சுடர்கின்றதே. அன்னையே!அபிராமித் தாயே! நீ கடல்களுக்கும் ஏழ் உலகங்களுக்கும், உயர்ந்த மலைகள் எட்டினிற்கும் அரிதில் எட்டாதவள். மேலாக உள்ள இரவையும், பகலையும் செய்யும் சந்திர சூரியர்க்கு இடையே நின்று, சுடர்விட்டுப் பிராகாசிக்கின்றவள்! soozhum sudarkku naduve kidandhu sudarginradhe. I have found out the Goddess (Abhirami) who enlivens me ! I can't fix my divine experience and divine bliss in the minds of others. Neither can I explain and tell others the same. Abhirami is beyond the seven seas, seven worlds and eight mountains between the sun and moon, who controls day and night Abhirami, also shines brighter. 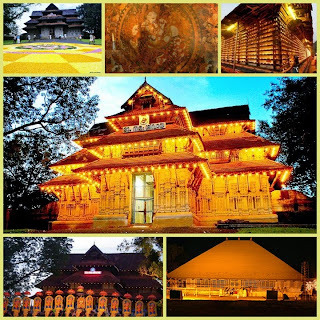 Vadakkumnathan temple is one of the 108 Shivalayas consecrated by Saint Parashurama. Since Devi Parvathy was alongside Shiva when he gave darshan to the saint, Parvathy was also installed facing east in the temple. Lord Vigneswara and Lord Sri Rama were also added to complete the installation. The mode of pooja for this temple was given by Sri Adi Sankara and this order is followed till date. 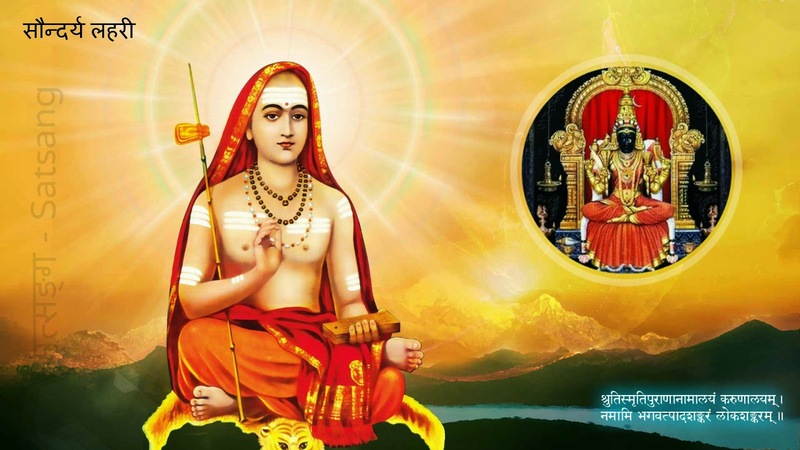 Sri Adi Shankara was born for his parent's Tapasya at this temple. The idol is not visible, as it is covered under 3-5 meter high and 5-7 meter wide mount of ghee, formed by daily abhisheka (ablution) with ghee over centuries. In spite of high temperature, ghee does not melt and the collection is preserved as good as new even after centuries. It is believed that lord Shiva (Kiratha) had a head injury during his fight with Arjuna and lord Dhanvantri (Lord of Ayurveda) prescribed ghee ablution. ஸத்ஸந்தானம், ஜன்ம ஸாபல்யம் Good progeny, Getting a meaning for life. Barren women become pregnant, getting issues. Putana, the demon woman, knew that she could not kill the baby Krishna if his parents knew of her true identity. By means of her magic, the fiery looking Putana transformed herself in to a beautiful motherly woman and entered Gokul. She carried poison in her breasts. She visited Yashoda’s house and seeing the baby Krishna sleeping in the bassinet, she admired Him so much that Yashoda thought that she was really a good woman fond of Krishna . Thus, when Putana made a request to let her give Krishna her breast to feed Him, Yashoda was hesitant at first but yielded to Putana’s insistent appeals to her motherly feelings. Putana took the baby Krishna in to her lap and began feeding Him her poison. Krishna of course knew her tricks and her true identity. He sucked the poisoned milk out of her breast along with her life force itself. Putana screamed in pain and lay dead immediately. Yashoda and her friends came out to see what had happened. To their horror they saw a great asura woman lying dead and Krishna playing on her body innocently. Putana’s body was so big that Nanda and his neighbors had to cut it in to several pieces so they could carry and cremate them. மறுக்கும் தகைமைகள் செய்யினும், யானுன்னை வாழ்த்துவனே. ஏ அபிராமியே! விஷத்தை உண்டவனும், அதனால் கருத்திருக்கும் கழுத்தை உடையவனுமாகிய சிவபெருமானின் இடப்பாகத்தில் அமர்ந்தவளே! சிறியோர்கள் செய்யக்கூடாத செயல்களைச் செய்து விடுவர். அறிவிற் சிறந்த ஞானிகள் அதைப் பொறுத்து அருளியதும் உண்டு. இது ஒன்றும் புதுமையல்ல. பொன் போன்றவளே! நான் தகாத வழியில் சென்றாலும், அது உனக்கே வெறுப்பாகயிருந்தாலும் மீண்டும் மீண்டும் உன்னையே சரணடைவேன். அத்துடன் மேலும் வாழ்த்தி வழிபடுவேன். marukkum thagaimaigal seyyinum, yaanunnai vaazhththuvane.